Common dog stomach problems include ulcers, gastritis, inflammatory bowel disease, and bloat. The classic symptom of stomach problems in dogs is vomiting. The stomach of a dog is a sac-like structure that can hold large volumes of food. The digestive process starts in the stomach. Once eaten, most food leaves the stomach within twelve hours after entering. There are a number of “gastric folds” on the inner surface of the stomach whose function is to grind and digest food. Acids and digestive enzymes are secreted by the inner stomach lining to break down and partially digest the food, which then exits the stomach and enters the small intestine. There are a few stomach problems that may occur in dogs. One classic symptom of dog stomach problems is vomiting. Depending on the stomach problem, vomiting can be acute and short-lived, or it can be chronic. Some stomach problems in dogs also cause diarrhea. Let’s take a look at some common canine stomach problems. Unlike in people, bacteria seldom cause stomach ulcers in dogs. Dog stomach ulcers are commonly caused by certain medications, particularly NSAIDs and corticosteroids. Ulcers can be deep or superficial. Dogs suffering from ulcers have chronic vomiting which may contain blood. For more information on stomach ulcers in dogs, please visit our page on ulcers in dogs. Another dog stomach problem is bloat (gastric dilatation volvulus), which causes the dog to retch and vomit, but unproductively. Dog bloat usually occurs to large breeds of dogs with deep chests. Bloat is a life-threatening emergency and you need to take your dog to the vet immediately if you suspect bloating in your dog. Be sure to learn more about this life-threatening stomach problem here. Gastritis is the irritation and inflammation of a dog’s stomach lining. Common causes of acute gastritis (one that occurs suddenly) are ingesting rotten food and garbage, poisonous substances such as chemicals, as well as some medications (e.g. NSAIDs). Chronic gastritis (one that occurs on and off over a period of time) is usually caused by allergic reactions to some food items. It may also be caused by extended use of certain drugs. Vomiting is a hallmark symptom of gastritis. For more information, please visit our page on gastritis in dogs. Inflammatory bowel disease (IBD) is a group of diseases that affect a dog’s stomach, small and large intestines. Specifically, canine IBD is a condition in which the dog’s gastrointestinal lining is constantly being infiltrated by inflammatory cells (white blood cells). As a result, the normal functioning and motility of the GI lining are largely compromised. This in turn affects the absorption of foods and elimination of wastes. 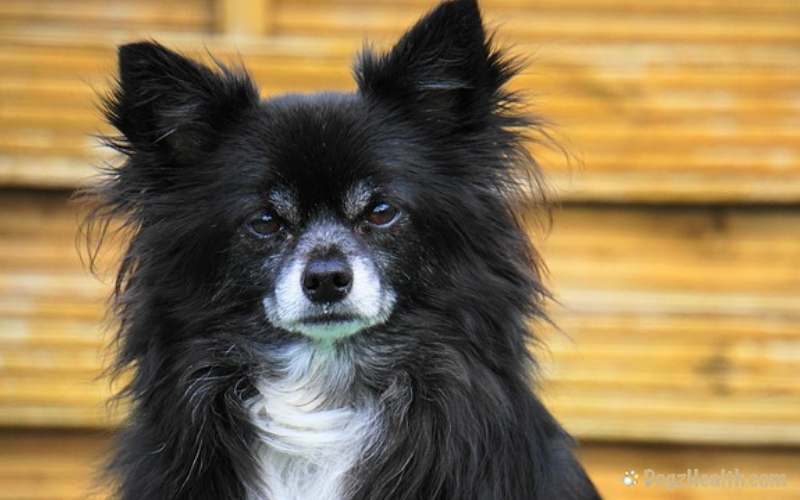 IBD tends to affect older dogs (those 8 years of age or over), although sometimes younger dogs can also suffer from the disease. For more information, please visit our page on inflammatory bowel disease in dogs. Some young puppies suffer from motion sickness since their inner ears are not fully developed. Other dogs have motion sickness because they are nervous when inside a car. The symptoms of motion sickness are restlessness, yawning, and then excessive drooling, followed by nausea and vomiting. There are some over-the-counter medications for dogs suffering from motion sickness such as Dramamine and Gravol. If you prefer a more natural approach, try giving your dog a ginger snap cookie if he suffers from motion sickness, as ginger is a good natural remedy for this stomach problem. Stomach tumors can be benign (e.g. polyps), or malignant (e.g. adenocarcinomas) and usually occur in older dogs. One symptom of stomach tumor is sporadic vomiting. The vomitus very often contain partially digested blood. 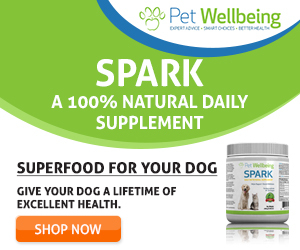 A dog with a stomach tumor usually also suffers from anemia and weight loss. A proper diagnosis of stomach tumor is by endoscopic examination (gastroscopy). Malignant tumors are unfortunately hard to treat, but benign tumors can be treated by surgical removal of the tumors. As you can see, quite a few stomach problems in dogs have similar symptoms (e.g. vomiting, lethargy). 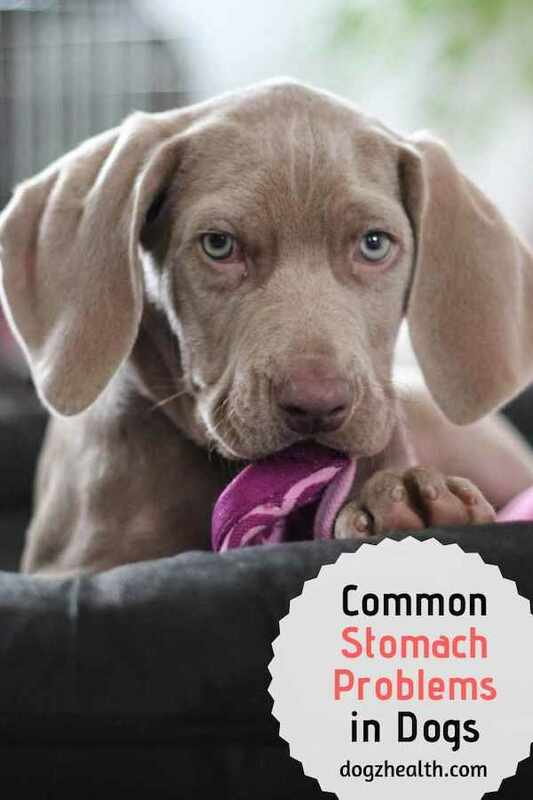 If your dog shows one or more of these stomach problem symptoms for over 2 to 3 days, don’t guess – take the dog to the vet for a proper diagnosis.